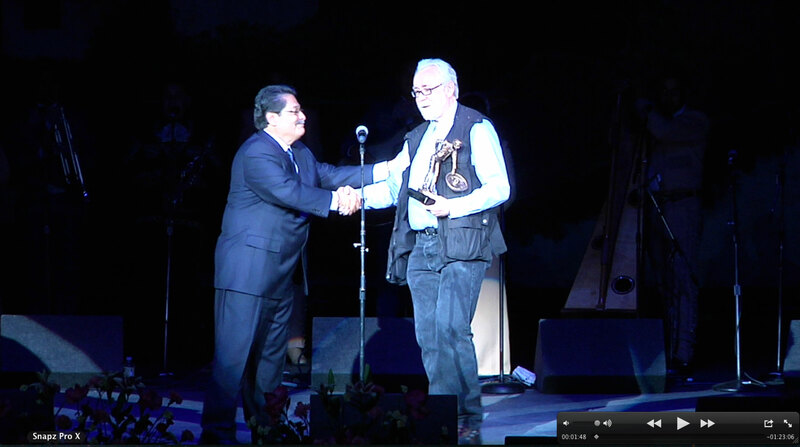 Longtime mariachi writer and videographer Daniel Buckley was inducted into the Mariachi Hall of Fame by the Tucson International Mariachi Conference at its 2013 Espectacular concert on Friday, April 26, 2013. 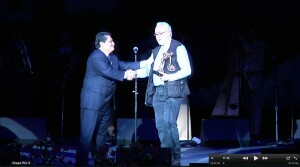 Buckley joins such notables as Linda Ronstadt, Lalo Guerrero, Mariachi Cobre, Mariachi Vargas and Nati Cano in receiving this honor. Click here for a full list of prior recipients. “No honor I have or will ever receive means more to me than this,” Buckley said of the award. For over 30 years Buckley has written about mariachi and folklórico culture in Tucson, Arizona, and for over ten of that time he has documented mariachis and folklorico dancers via video as well. Buckley expressed his gratitude to those who helped him most at the beginning of his journey to understand mariachi and folklorico. They include Elva Flores, Raul Aguirre, Julie Gallego, Ralph Gonzalez, Richard Carranza and the families of Mariachi Cobre members Mack Ruiz and Randy and Steve Carrillo. Buckley is currently six months into production on a documentary on how mariachis and folklórico dancers transformed Tucson, to be completed in spring of 2015. Buckley recently began a Kickstarter project called Mariachis Transform Tucson to help get the film underway. The Kickstarter project and his recent award have gained media attention. You can learn more about this film as it progresses via a special Facebook page, Daniel Buckley’s blog on the topic and his homepage for the film. For more on Daniel Buckley go to www.danielbuckleyarts.com. Gil Sperry It has been an honor for me to know you. In spite of some dark days, you have always persevered in shining the light of truth on this incredible music through your fearless probing journalism and classic films. Felicidades, amigo!!! 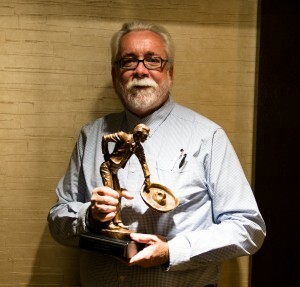 Tucson is blessed to have you as an integral part of their Hall of Fame. Hope we can get you to head West and South in October. (Author of Mariachis For Gringos). John Nieto Congratulations and well deserved. You have promoted the folkloric arts and especially the Tucson Mariachi movement like no one else has. (Mariachi educator, San Antonio, Texas). Please support Daniel Buckley’s documentary film “Mariachis Transform Tucson” Daniel Buckley is in many ways responsible for promoting the cultural richness and history of Mariachi music, of documenting, in print and video, the many contributions of 30+ years of the Tucson Mariachi Conferencer Without his personal journalist commitment many fabulous stories and many more magical moments would have languished in obscurity and perhaps completely forgotten by now! If you love the value of education and the undeniable role mariachi music plays in the lives of our diverse communities please consider making a small donation to this project. Please consider adding this to your timeline. ~ by Daniel Buckley on April 28, 2013.